Welcome to the CMusic Production SAXBAND Tenor Sax Library! 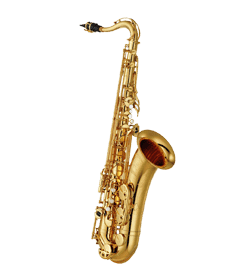 The tenor saxophone – along with the alto – is perhaps the most familiar member of its family of instruments to the modern listening audience. 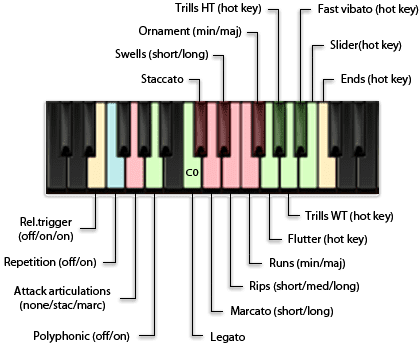 Made famous by artists like Stan Getz and John Coltrane, it finds its way easily into a wide variety of musical genres. From marching and concert bands to jazz combos, the tenor saxophone is at home in both lead and backing roles. In the hands of a talented performer, this B♭-pitched reed instrument can cover the spectrum of musical moods from satin-smooth and mellow, to raw, rowdy and “rocking”. When recording the library, MID-SIDE technology was used (see detailed explanation). The Cmusic Pro. engineers have spared no effort to bring you a feature-packed, easy-to-use library. Its generous compliment of articulations, user-friendly GUI and instrument features – round-robin sampling, key-switching etc. – make creating useful and realistic compositions easy. Your opportunities for musical use with this library are limited only by your imagination and creativity. Own it today!